The Age of Stupid stars a man living in the devastated future world of 2055, looking back at old footage from our time and asking: why didn’t we stop climate change when we had the chance? 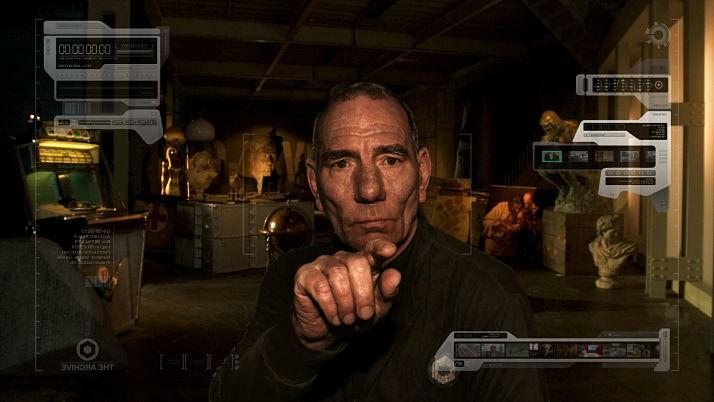 The Age of Stupid stars Oscar-nominated Pete Postlethwaite (In The Name of the Father, The Usual Suspects, Brassed Off) as a man living in the devastated future world of 2055, looking back at old footage from our time and asking: why didn’t we stop climate change when we had the chance? Launched at a Guinness World Recording-winning solar-powered premiere in London's Leicester Square, the film was released in cinemas worldwide, topped the UK box office (by screen average), became one of the most talked-about films of 2009 and garnered sensational reviews: The Telegraph called it "Bold, supremely provocative and hugely important", the News of the World described it as "A deeply inconvenient kick up the backside", ABC Australia said "So tightly constructed and dynamic you leave the cinema energised rather than terrified... hits home like a hammer blow" and the LA Times said "Think 'An Inconvenient Truth', but with a personality". Multi-award-winning documentary director Franny Armstrong (McLibel, Drowned Out) and Oscar-winning producer John Battsek (One Day In September, Restrepo) pioneered the now ubiquitous "crowd-funding" model to finance the film, and then spent four years following seven real people's stories to be interweaved with Pete Postlethwaite's fictional character: an Indian entrepreneur struggling to start a new low-cost airline, a Shell employee in New Orleans who rescued more than 100 people during Hurricane Katrina, an 82-year-old French mountain guide watching his beloved glaciers melt, two Iraqi refugee children searching for their elder brother, a young woman living in desperate poverty in Nigeria's richest oil area and a windfarm developer in Britain battling the NIMBYs who don't want his turbines to spoil their view. The Age of Stupid led to the formation of the 10:10 carbon reduction campaign which now operates in 45 countries (www.1010global.org). Recognising the film's unique contribution to independent filmmaking, the Huffington Post said that it "represents the future of film, film culture and film distribution and marketing".